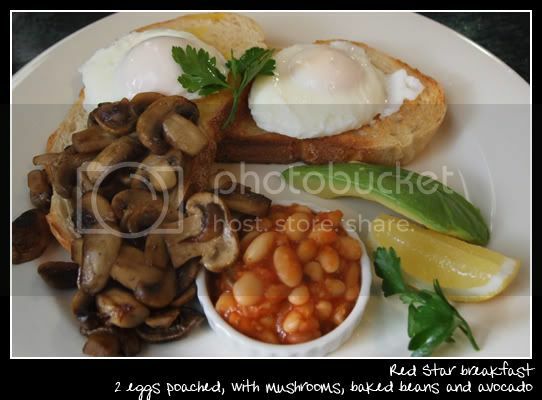 Eating out for breakfast is such a treat and after being highly recommended by one of the SO's directors, we dropped by the Red Star Cafe. 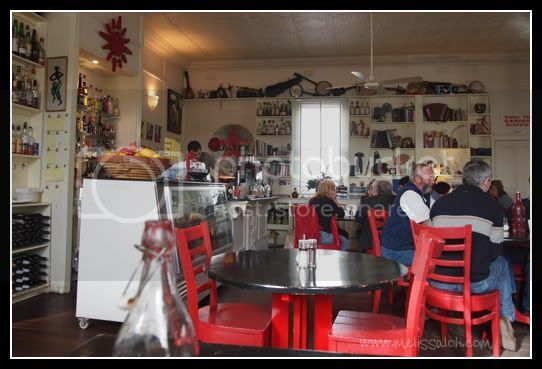 Conveniently located across the street from the Peppers Springs Retreat & Spa, the Red Star is a funky little joint full of quaint nick nacks one would pick up from around the world on their travels, such as travel guides, old film cameras, books on maharajahs or antique furniture. While the cafe is obviously a popular Sunday breakfast spot, they seem to have an almost magically knack for finding every newcomer a spot amongst the hustle and bustle of coffee brewing, sipping and social chatter. 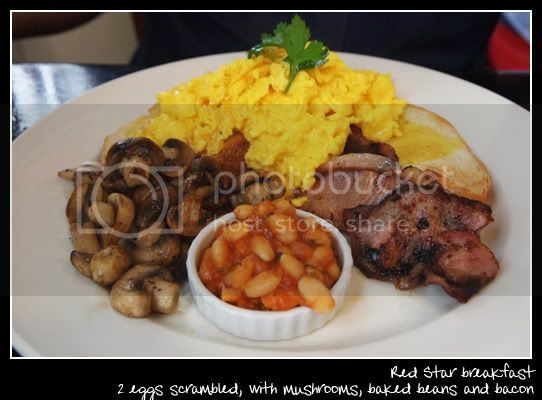 But besides the coffee, it's their Red Star breakfast, which got me right where it counted: my stomach. The baked beans were alright, but their mushrooms burst with juice and flavour in every bite, and their avocado is really fresh. Yum yum every step of the way.